When you think of changing rooms it no doubt conjures up the idea of smelly socks and sweaty bodies, the last place you would imagine sitting down to enjoy a five course dinner. 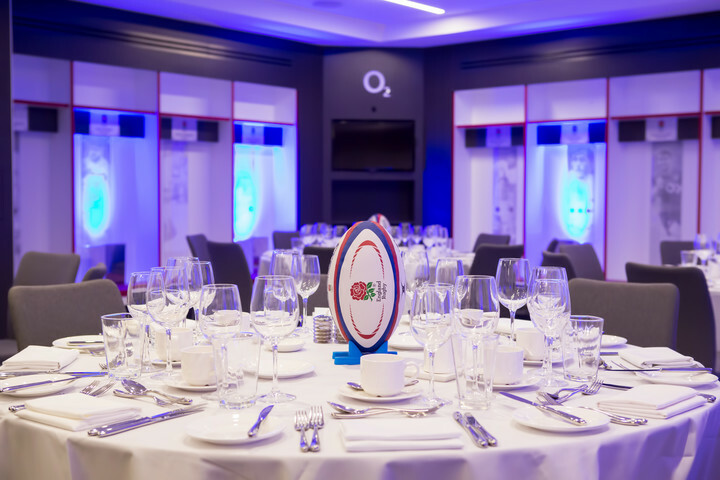 Believe it or not, The England Changing Rooms at Twickenham Stadium is the place of many a VIP dinner or drinks reception, wowing every guest that steps through the doors. The England Changing Room highlights the RFU's five core values of Teamwork, Respect, Enjoyment, Discipline and Sportsmanship and there is a strong rugby element throughout with past and present players names above their seats. Expanding beyond the main dining area guests also have access to view the physio area and ice baths. The space has built in LED lighting that can change colour and integrated screens for branding and presenting opportunities. To enhance the experience a dedicated package has been specially created for the England Changing Room which includes a Bollinger champagne and canape reception in the Players' Tunnel and pitch-side, followed by a five-course dinner including cheese, tea, coffee and truffles and a bottle of wine per person. For those lucky enough to dine in the England Changing Room, it's an experience that will never be forgotten.